We look forward to seeing how the invited festival artists interrupt this year's festival theme. 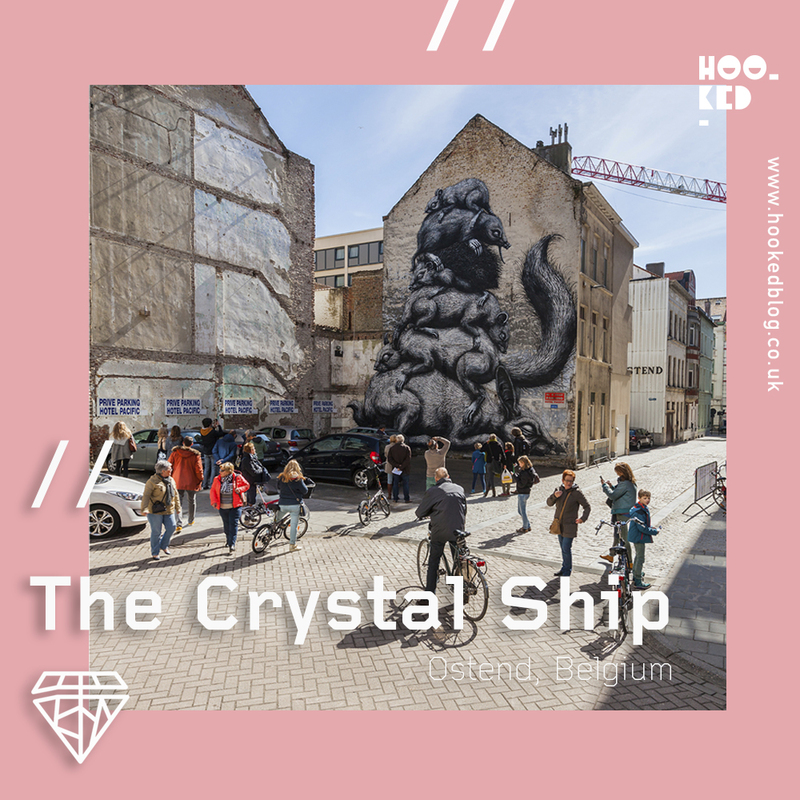 The 2019 edition of The Crystal Ship will be based at Achturenplein Ostend, where you can pick up a copy of the free map that will guide you through the cities spectacular open-air street art trail. Travelling to Ostend from London is extremely easy and stress-free, the Eurostar from London’s St.Pancras station has been our goto since 2016. And with their Any Belgian Station ticket which lets you travel to Brussels via the Eurostar and then catch another connecting train onwards to your final destination which for us will be Ostend. The train runs from Brussels stopping in Ghent, Bruges and finishes in Ostend. Each of the previous visits we have tried to book the last return Eurostar train from Brussels as this is usually long enough for us to make a quick stop over in Brussels to visit the MIMA Museum before heading back to London. 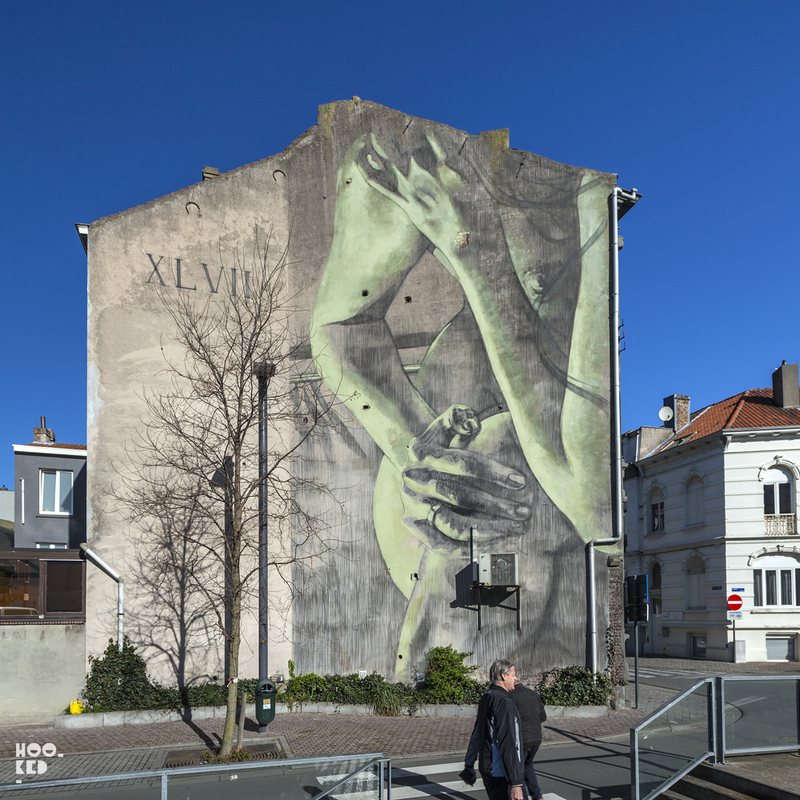 As we head into the fourth year of the Crytal Ship festival, Ostend's street art collection already includes more than 54 impressive permanent artworks across the city. 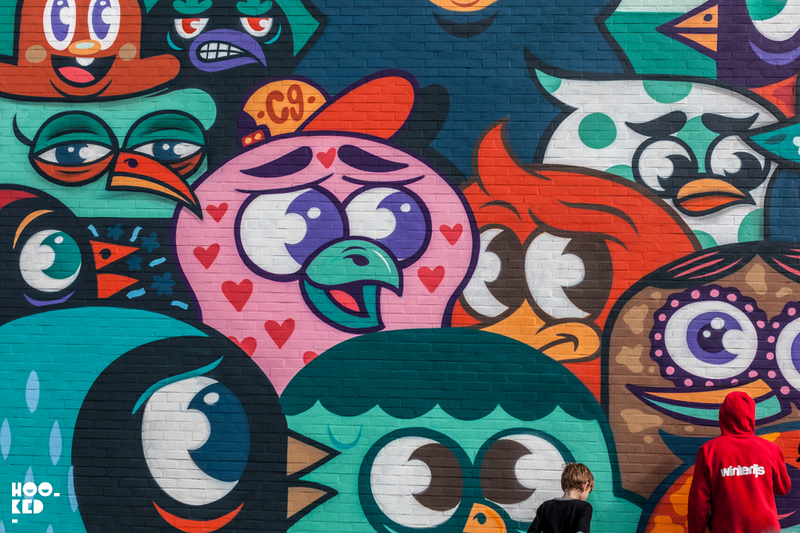 This year's edition of the festival will see the addition of new murals making a must-visit city for street art enthusiast. 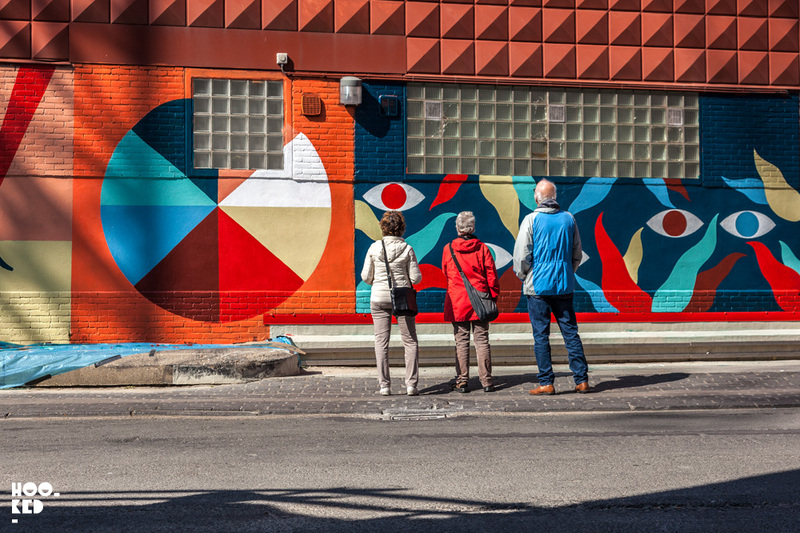 Exploring The Crystal Ship murals in the city is easily accessible by public transport, car and/or bicycle or if its a nice day you can walk to a large number of the works but we would suggest getting one of the cities trams to see those on the outskirts of the centre. 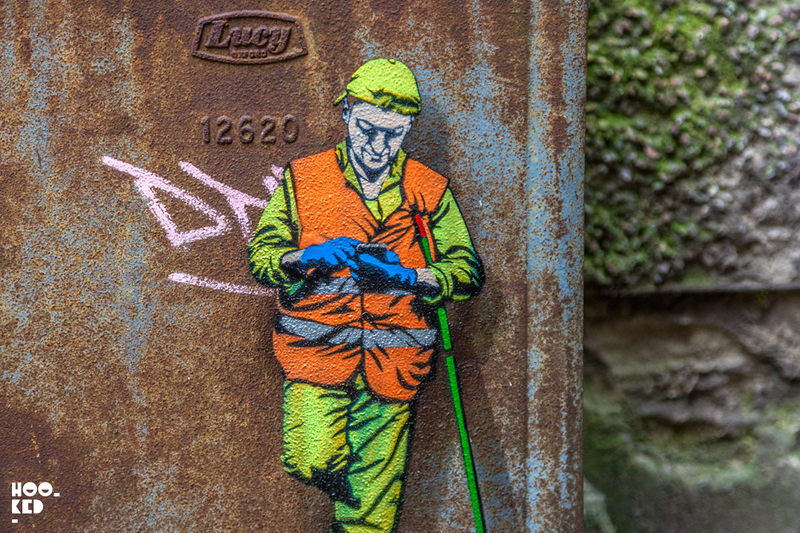 A great starting point for those of you wanting to take in all the Ostend Street Art is the Tourism Ostend office where you can request a copy of a free cycling and walking map that will help guide you through the free open-air exhibition. The map includes the locations of the works from the three previous editions of the festival. We have previously used the cycling map and found it the best way to get around the city and what with the cities extensive bike network it's super easy cycling around Ostend and we highly recommend it. For those of you who want a little background behind the works, the Ostend Tourist Office will also be organising a number of guided tours from the 10 - 22nd April. 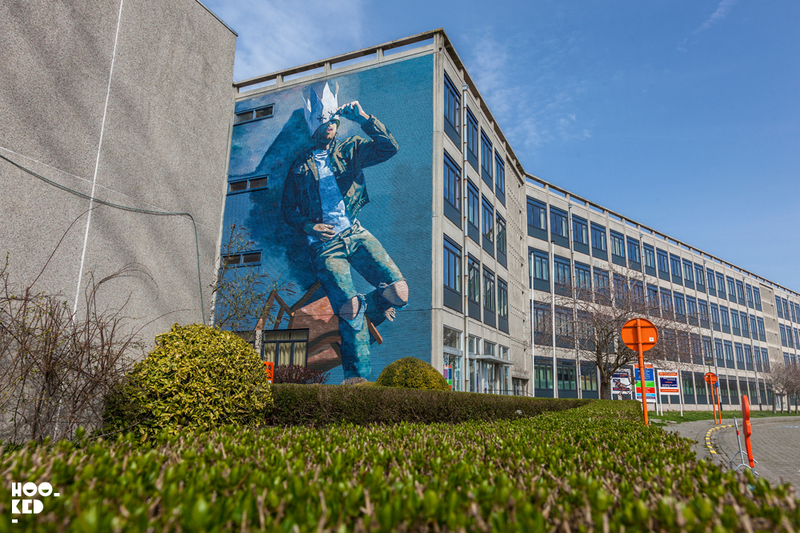 For additional info on the guided tour times, dates and how to purchase tickets head over the the The Crystal Ship: Street Art Tour Facebook event page or alternatively call into the Ostend Tourist Office for more info. 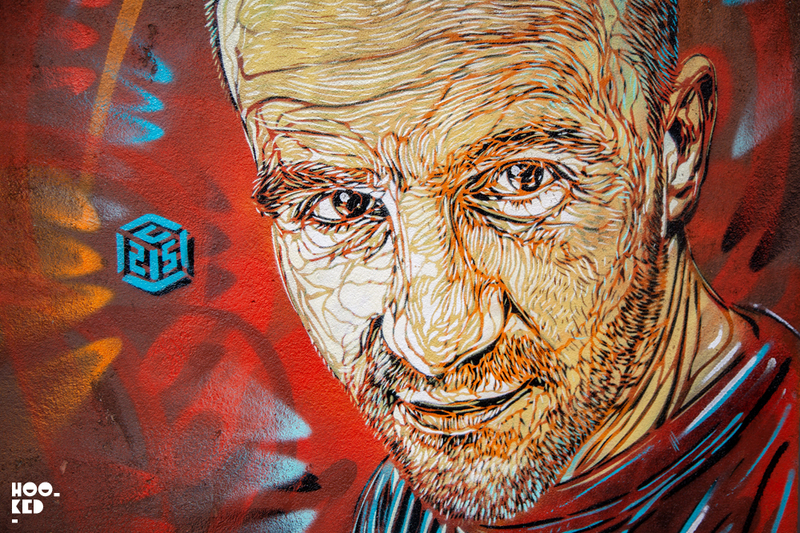 Vibrant work from two Belgian artists from Brussels working under the name of Hell’O Collective, pictured is a small section of the gigantic wall they painted near the cities train station. Click through the link below to see more of this mural. See More: Belgium's Hell'O Collective Mural in Ostend. We were first introduced to Antwerp based artist Matthew Dawn back in 2016 at the inaugural edition of the Crystal Ship festival when he was working with the festival providing assistance for some of the invited artists. 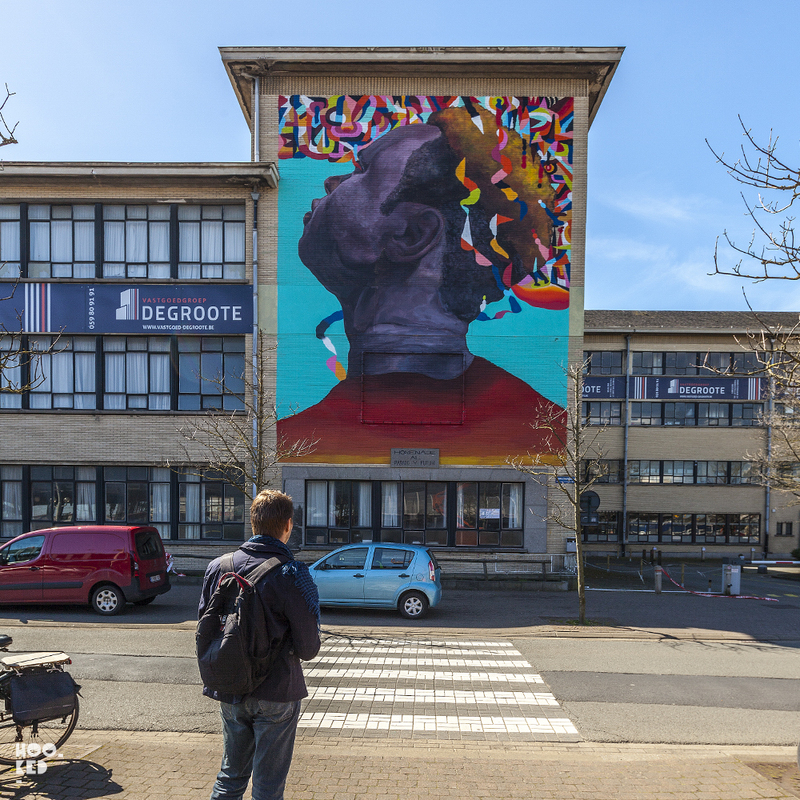 We later discovered some of Dawn's mural work while travelling in Belgium and last year saw him invited to paint the above mural piece for the 2018 edition of the festival. 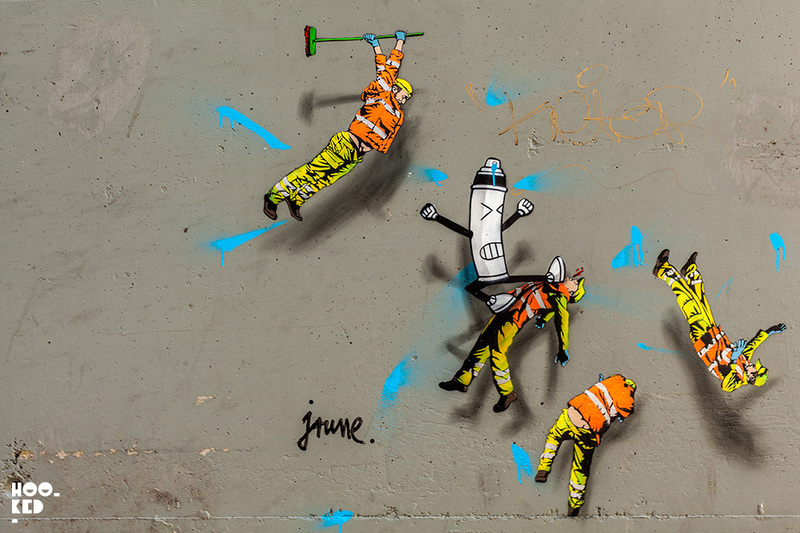 Belgian street artists and Crystal Ship regular Jaune collaborated with French street artist OAK OAK on several works across the city for the 2018 edition of the festival. 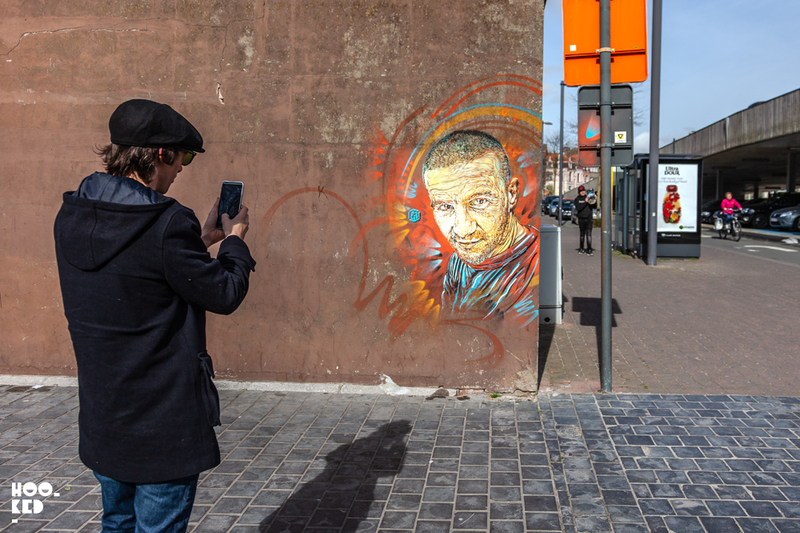 The Crystal Ship festival curator, Bjørn Van Poucke capturing a photo of one of French street artist C215's stencils portraits painted for the 2017 edition of the festival. 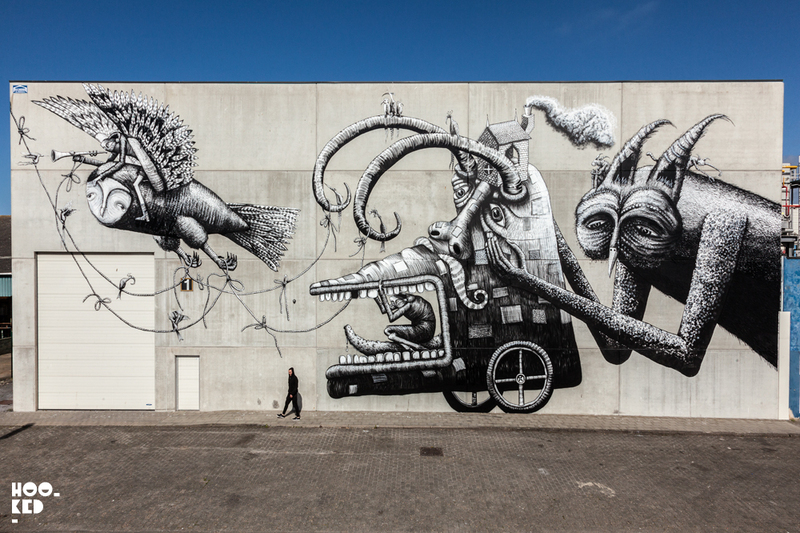 Painted on the other side of the port in Ostend is one of UK street artist Phlegm's epic black and white murals, with a guest appearance from Doug at FithWallsTV for scale. The mural work of South African artist Faith47. One of the first things you see as you pull into the Ostend train station from Brussels is this wonderful mural by Argentine artist Nicolas Romero Escalada aka Eversiempre. 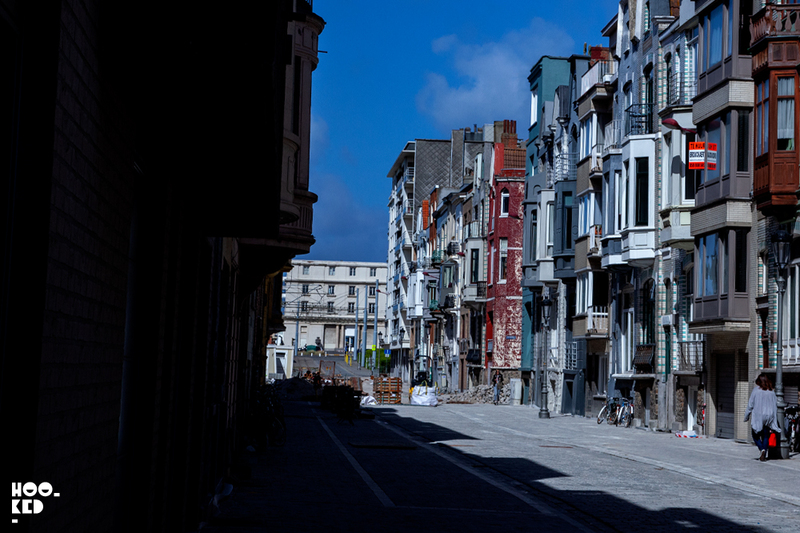 Invited artists have already begun to arrive in Ostend and many will be painting from the 6-13 April across the city. The official festival opening taking place on Saturday 13th April from 2pm at Guldensporenlaan 2, Oostende where the artist's artworks will be officially unveiled to the general public. Hookedblog will once again travel to the City By the Sea and we will be in Ostend for a number of days and we will be bringing you coverage from The Crystal Ship Festival across our social channels so make sure to join us on Hookedblog Twitter and follow our daily adventures via our Hookedblog #InstagramStories on Instagram. 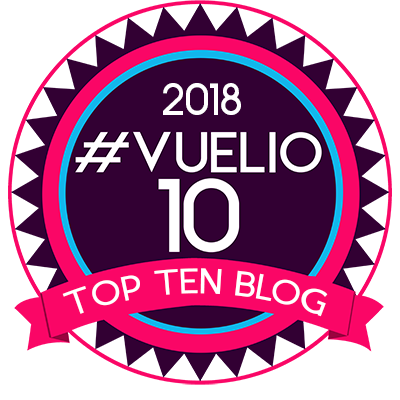 We will also be sharing highlights on the blog from our trip for those of you not using Instagram, so stay tuned. And if any of our readers are planning to visit the festival please let us know and we can arrange to catch up for a Belgian beer or few!